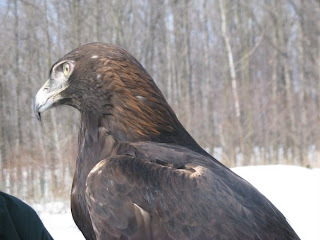 This Golden Eagle (Aquila chrysaetos) is the newest member to our educational team. His name is Paco, which means Golden Eagle in Navajo according to one website. Don't miss the "Golden" oppurtunity to see him at REGI this summer! Spaghetti Lunch was a Success! Front page of the Milwaukee Journal. Lead Issues.